The all-new 2015 Subaru Outback crossover SUV brings a number of changes, some big, and some small. It grows a little bit in every dimension, offering more interior cargo and passenger space. It gets better fuel economy. And thanks to the addition of X-Mode to its all-wheel-drive system, it's more capable than ever when the pavement ends. A great car, but could use some ergonomic detail improvements. I really loved my Outback in the beginning when we first bought it. I love the feel of how it drives, and the space/storage capacity is fantastic. Our daughter plays a large instrument, so we needed the room to transport it. There were a few things I began to notice over time, though. The steering is hard, and I began to get achy in my arms. I guess I have gotten used to that by now, but there is also a ergonomic issue with the seats. I think the seats were made for a man. The lumbar support is in the wrong place. I need to use a combination of pillows to support my back. We also needed to use the warranty one time to replace the horn which went out completely on us. A small thing, but important. All in all, I still really like my Subaru. Why I love it and hate it. 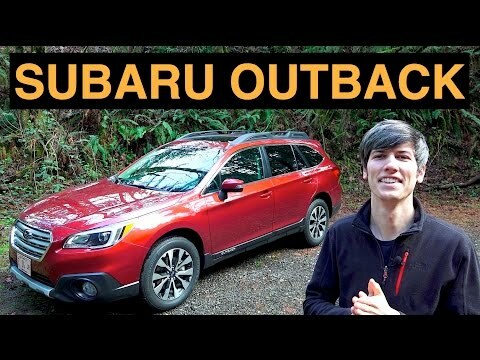 The Outback allows for a very smooth comfortable ride. A friend is almost 6 feet tall and finds the vehicle provides enough room. Being a wagon, it is the perfect height to load bags and boxes in the back without the need of a stepstool. Two issues. One is the position of the hazard button. In the heat of the summer your easy pass can fall down and hit the hazard button, leaving your hazards to flash until you turn them off. The other is the position of the light switch in the back. With the hatch up and loading bags and boxes, it is easy to hit the light button to the "on" position, which means if it is daytime you won't see that the light is on until you go out at night, possible running your battery down. The touchscreen works flawlessly and even displays song album covers when playing. The car is spacious especially with having to keep a stroller with us all the time. The trunk allows space for the stroller plus everything else that we need. The touch screen allows for easy access to the car's radio, information, cell phone options etc. The middle console has an additional USB port and the lid to close it has a little divet to allow for the cord not to be kinked when in use. The bluetooth enabled options are amazing allowing you to switch between songs on one of my phone's apps with the steering wheel. This car was perfectly designed and the back up camera and heated seats are definitely a plus.